Driving without insurance is a serious matter and can carry pretty severe consequences, however millions of people in the United States drive their car without being insured. The law requires that every driver with a car have the required amount of car insurance. What Are The Fines And Penalties In New York For Operating A Vehicle Without Proper Insurance? It is illegal in all states to drive a vehicle without having your car insured and more specifically most states require that you drive with proof that your vehicle is insured. If the police pull you over and you are not properly insured then you can face heavy fines and possible jail time. Under New York’s Vehicle and Traffic Law, Article 6 section 319-1 Operating without insurance can result in 15 days in jail and up to $1,500 in fines. The DMV can also revoke your license for a year if you are found guilty. The State of New York requires every driver to be insured for injury / property damage to others. The law in New York states that if a driver fails to produce an Insurance ID card then it is presumed that there is no insurance on the vehicle. If you are involved in an accident the driver can sue you personally for the damages involved. 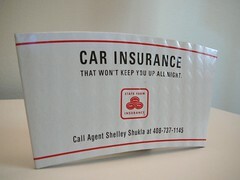 Although car insurance premiums can be expensive, auto insurance is essential. Why Is Driving Without Insurance Illegal? Make no mistake that driving without insurance is reckless behavior. This is because if you are involved in a car accident then the other driver must be compensated for the damage that is done to their vehicle and any pain, suffering, lost wages and medical bills that are associated with the accident. Driving without insurance is illegal because if you are involved in an accident and do not have insurance, then you essentially have no insurance to cover the damages that are done. What Should I Do If I Was Charged With Driving Without Insurance? The consequences of driving without proper insurance can be avoided by first obtaining insurance coverage and making sure that your vehicle is properly registered. If you were charged with driving without insurance then you should contact an experienced traffic/criminal defense attorney in New York. Often times, an individual has insurance but since he cannot produce the insurance card, the law presumes he was not insured as explained above. If you were charged with no insurance but you did, in fact, have insurance, an attorney can help you avoid excessive fines and possible license suspension. Even if you did not have insurance at the time, an attorney still may be able to negotiate a reduction of the charges so you avoid license revocation. Call The Rosenblum Law Firm today for a free consultation as to how we can help you. Have you tried contacting the District Attorney to explain your situation? I got pulled over with no insurance over 90 what do I do? Matthew – please advise – what is the violation code you are being charged with? I use my mother’s car for school/work purposes and on my way to work I got pulled over by a cop. He stated my car had no insurance and I was completely unaware. So he suspended the vehicle and also my mother’s license. The next day, I discussed to my mother that if i put the car insurance under my name, and then register under my name, I will be the only one to drive for only work and school however, the dmv told to me I couldn’t register it because the car is suspended for 3 months. Is there any way to override that? It was not my fault that the car did not have insurance in the first place because I was not responsible for it. It was my mother’s responsibility and also I was completely unaware that I was driving a car without insurance. I just want this car to drive to work and school. Leesh – If you would like assistance, you may contact us at 888-883-5529. I will be happy to discuss your case in further detail with you. Contact the NY DMV and inquire about any potential conditional licenses that are available. i recently moved to virginia. my insurance policy automatically switched over to virginia. my license is from new york, and has been suspended due to not having new york insurance. ive already paid my suspension fee but my driving status still says i cant drive. being that ive paid the suspension fee, can i still change over my license from new york to virginia even tho my license says i cant drive in new york? i still have insurance. While this is a question better answered by the DMV – I strongly suggest you clear up any outstanding issues in NY immediately. My license has been suspended for no insurance… i was not aware.. i have had problems with insurance companies Cancelling for not reporting a person i no longer live with and have no information about..I need to know how i can get my license reinstated . The underlying basis for the suspension must be resolved before a suspension can be lifted. Then, the DMV may reinstate your license for a fee. In order to advise you, I need to know the exact violation codes of your charges. You may contact me to discuss further at 888-883-5529. I have been driving for over 30 years without a single accident and have received only one (1) moving violation received more than fifteen (15) years ago (a speeding ticket). Due to a very difficult divorce I couldn’t afford insurance any longer and I stopped driving in 2013. I did not know when I would drive again. I also did not know I had to turn in my plates and that if I didn’t return the plates that it is somehow deemed a “lapse” in insurance when, in fact, I consciously stopped purchasing insurance and stopped all driving altogether. I recently learned my license was suspended due to that insurance lapse. I now need my license to get to a job to make a living. I have a perfectly clean record other than this lapse (I have my abstract). I cannot afford a fine. Please help. You may contact us for a free consultation to discuss your case further. I am trying to determine how exactly we can help you in this situation, as this might simply be a matter of paying off a fine. I had a fender bender in December of 2014. Although I had insurance on the car that I was driving the officer said that my license was suspended because I did not insure my son’s car (He is away at college and would not be driving it. It was parked in my garage and never used). I learned, the hard way, that you MUST return the license plates for all uninsured cars! My license is suspended from December 24th until June 9. I’ve been to court twice (to make sure that the claim was paid out) and I had to pay a fine of 288 dollars. Did I miss something? The punishment seems harsh especially for a total rule follower like me. You may contact us for a free consultation. I would like to know whether any other factors led to the suspension of your license. Were you or your son charged with unauthorized operation of a motor vehicle? Hello , I have had a clean record for the most part however,i was stopped and received 4 tickets uninsured ,switched plates,unregistered and uninspected , the car is inspected . Although I know it was stupid I drove the car down the road as I was doing work on it . Will my liecence be revoked ?? and if it is can I keep it insured and registered ?? Dennis – what is your most recent ticket for? Please contact us to discuss further. DMV is trying to take my license for tickets that were dropped out of the court. There was a big dispute between me an this man that sold me a lemon vehicle we exchanged words and this man pulled a knife on me. So I sped off but accidently hit a car while driving with no insurance. I ended up paying the man for his car through the court, but now get the feeling that the man also reported me to try and get double his money. I’d like to know how DMV can take my license 1 year later after I already am fully insured and bought new plates for the vehicle that was involved even after the courts threw the insurance ticket out. I suggest you contact the court to assure all the tickets were dismissed. You may also contact the DMV to try to find out what outstanding tickets exist against you. You may contact us for a free consultation, as we need to gather more information to be able to assist you. We can help you. Call us and I can discuss the process with you.